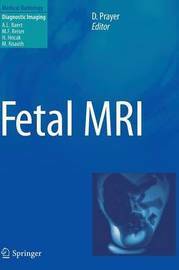 This is the most comprehensive book to be written on the subject of fetal MRI. It provides a practical hands-on approach to the use of state-of-the-art MRI techniques and the optimization of sequences. Fetal pathological conditions and methods of prenatal MRI diagnosis are discussed by organ system, and the available literature is reviewed. Interpretation of findings and potential artifacts are thoroughly considered with the aid of numerous high-quality illustrations. In addition, the implications of fetal MRI are explored from the medico-legal and ethical points of view. 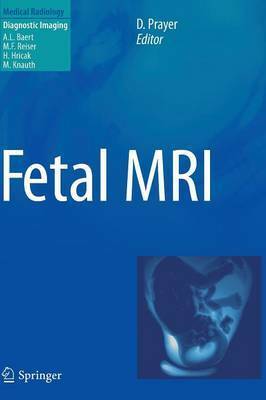 This book will serve as a detailed resource for radiologists, obstetricians, neonatologists, geneticists, and any practitioner wanting to gain an in-depth understanding of fetal MRI technology and applications. In addition, it will provide a reference source for technologists, researchers, students, and those who are implementing a fetal MRI service in their own facility. 34 Tables, color; XIII, 528 p.